Events and transitions happen as we travel through our life paths. Marriage, Career Changes, New babies, Divorce, Inheritance are but a few of them. These changes come with emotions and questions of all kinds. 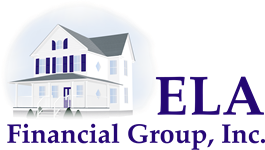 The advisors at Ela Financial Group are here to guide our clients through life’s milestones. We take this role seriously, offering guidance and support as we tackle them together. We will help you follow steps to assure that financial matters at hand are addressed for any change life may bring. Create a step by step to-do list, gather documents, schedule appointments, timelines, etc.